Panasonic FX700 (FXW724 in Germany) is the successor to last year’s EX700, which offered value-for-money picture quality. The company tells us that the 2018 FX700 comes with support for the HDR10+ format and updated smart features as part of the ‘My Home Screen’ suite (née Firefox OS). 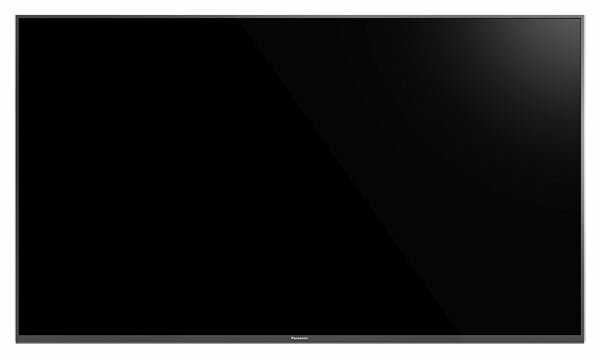 FX700 is a mid-range TV with an edge-lit LCD panel and is meant to compete with TVs such as Sony XE85 and Samsung’s NU ranges. It will be available in Europe only. The first thing that struck me when installing FX700 is that it is a surprisingly elegant TV considering the price point. Panasonic has clearly made it a priority to make the TV appear simple and minimalistic. That takes away some charm and uniqueness but designs like this with very thin bezels should fit into most living spaces. The frame is made from a thin aluminum coating. Of course, this is not unusual today, but remember that FX700 is a mid-range TV. 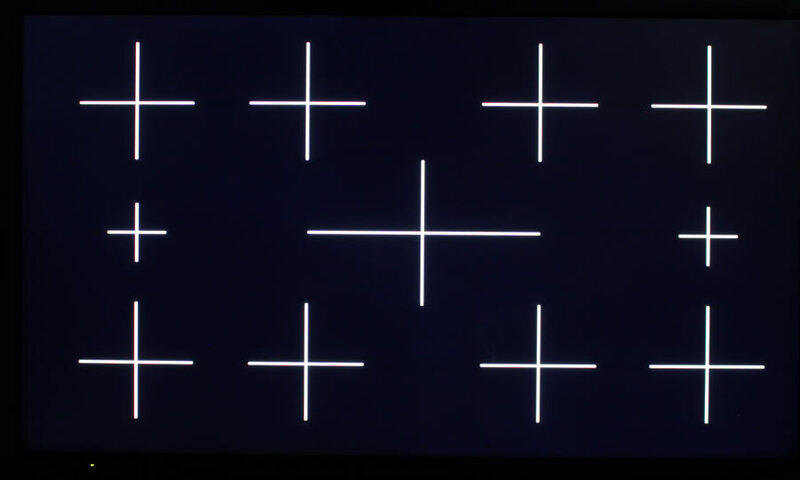 There is a small but clearly visible Panasonic logo on the lower frame and a small IR receiver and light sensor on the lower left side. The feet are made from metal and provide a stable foundation. Panasonic calls it the ”switch design”, which simply means that you can choose whether you want the feet mounted in a wide (seen in the photos) or narrow configuration. The latter is to ensure that the TV can be placed on small furniture. The back is made from plastic but has a very streamlined look to it. Cables must be connected behind a detachable panel that reveals all ports. Some ports point to the side. However, as you can see, two USB ports and one HDMI port face the wall, which is unfortunate if you were planning to wall-mount the TV – especially considering that FX700 has only 3 HDMI ports in total. 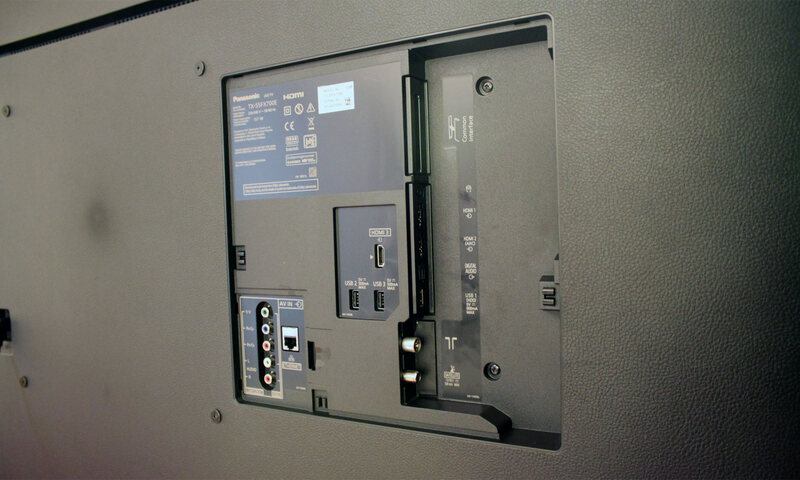 The Ethernet port and analog inputs are hidden inside another compartment behind a detachable panel, and are also facing the wall. The CI+ port that is used to decrypt TV channels by inserting a clunky CA module is an archaic concept much like a SIM card in a modern smartphone. The difference is that the CI port takes up far more space, which can make it challenging for manufacturers to fit all ports onto the back of the TV. The worst thing is that the TV industry seems entirely uninterested in addressing such challenges. This is not unique to Panasonic but we hope that TV manufacturers soon build up the courage to get rid of baggage and design TVs for the digital age. 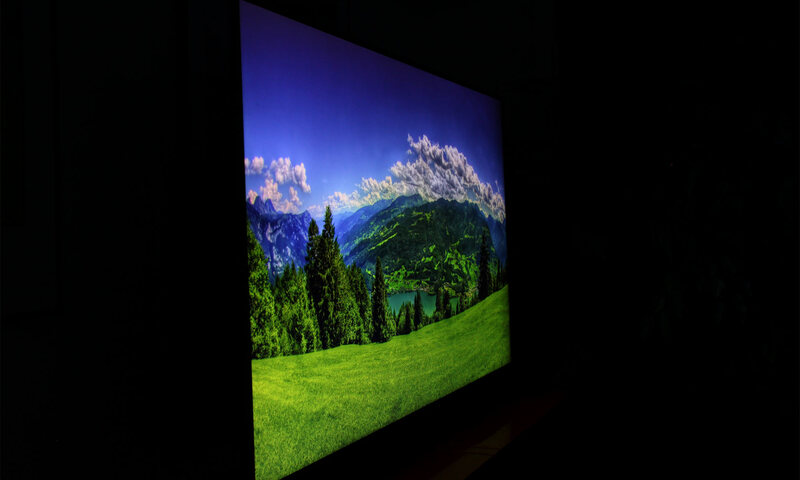 The LCD panel has a glossy coating, which is reflective. In a brightly lit environment you can see yourself along with lamps and windows. However, these types of glossy coatings also help maintain intensity in blacks and ensure that colors do not wash out in brightly lit environments. You may recall that Panasonic and Mozilla forged an alliance a couple of years ago. Mozilla wanted to create a universal operating system for TVs, phones, and other devices built on open web standards (another way of saying ”embedded web browser”). 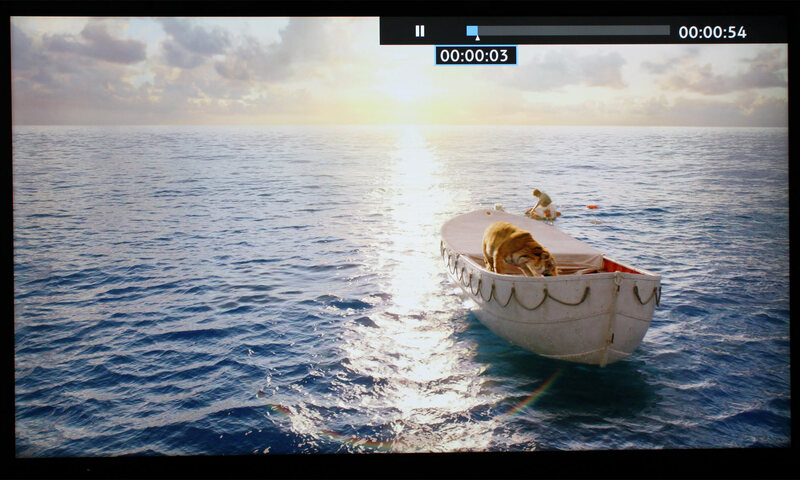 They named it Firefox OS and Panasonic agreed – as the sole TV manufacturer – to implement it in all of its TVs. Just a couple of years later, Mozilla threw in the towel and Panasonic has decided to continue development of Firefox OS under the old banner ‘My Home Screen’ – also used before Panasonic switched to Firefox OS. Panasonic has been very persistent and has seemingly tried hard to avoid Google’s ‘Android TV’ platform, which is not necessarily a bad thing considering the current state of Android on TVs. The company used to refer to its in-house platform as first ‘Smart Viera’ and since ‘My Home Screen’ before it replaced it with Firefox OS. FX700 and the other 2018 Panasonic models now tout My Home Screen version 3.0, which is based on Firefox OS rather than the original incarnation. My Home Screen 3.0 has a refreshed user interface but before we dig in, we want to zoom out for a moment. Google’s ‘Android TV’ is far from perfect but it is after all a TV operating system that receives regular updates and has a semi-thriving app store. The same can be said for Amazon’s FireTV. Apple’s tvOS currently sets the bar for TV operating systems. We think that this is important because referring to something as an ”operating system” sets certain expectations, including expectations of regular updates and an open app store. My Home Screen meets none of those criteria. Version 3.0 will be available only on the 2018 models and Panasonic refuses to make any promises regarding regular updates. So, next year, when (or if) My Home Screen 4.0 arrives, your 2018 TV will be stuck on version 3.0. It is the same story every single year. It is also very bad industry practice so FlatpanelsHD will start warning potential buyers when reading our reviews (check the info box in the conclusion). So what does Panasonic’s TVs have to offer? 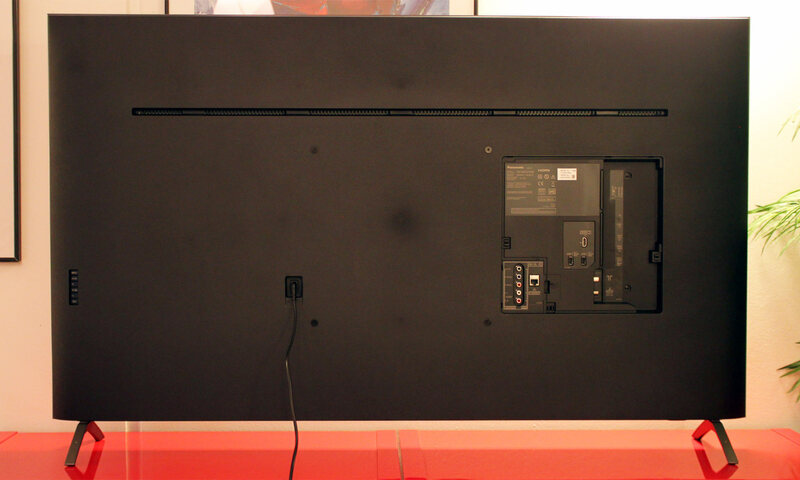 First of all, the company has implemented a handy on-screen guide to take you through how the TV works. 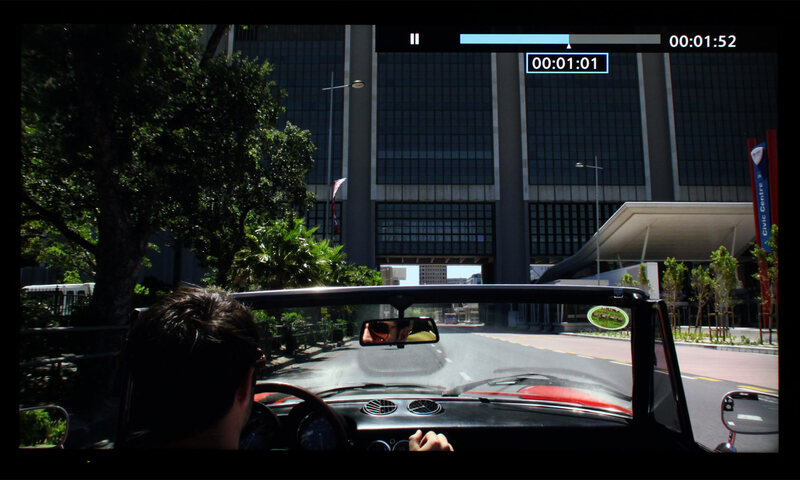 Rather than big round icons centered in the middle of the screen, Panasonic has moved them to the bottom of the screen to ensure that the video playing stays visible. Since the platform is fundamentally based on Firefox OS it still revolves around the concept of round icons that serve as shortcuts to apps, channels or other types of content sources that can be set as you please. FX700 offers access to streaming services such as Amazon, Netflix, and YouTube but is missing a lot of the big and semi-big names. Relevant apps for your region come pre-installed. There is an ”Apps Market” but very few companies develop or publish apps and since Firefox OS is based on open web standards, the ”apps” are typically just websites packaged in a container with a shortcut icon. The experience is strikingly different, and far inferior, to using a native app developed for, say, tvOS on Apple TV. One positive thing that we want to bring to attention is that the TV is very quick to boot up. It takes just 2 seconds to turn it on and just 3 seconds until it becomes responsive. To use apps such Netflix you must accept the terms and conditions that detail what information Panasonic is collecting and that data may be shared with third parties. Besides moving the round shortcut icons to the bottom of the screen, My Home Screen 3.0 feels mostly unchanged. It is simple and approachable but not up to modern standards. The app selection is meager and the platform offers only very basic functionality. Panasonic’s My Home Screen is not exactly a TV operating system – and does not feel like one at all. It works but it feels mostly like using a simple web overlay on top of the company’s ancient menu structure that has not changed materially in more than a decade. 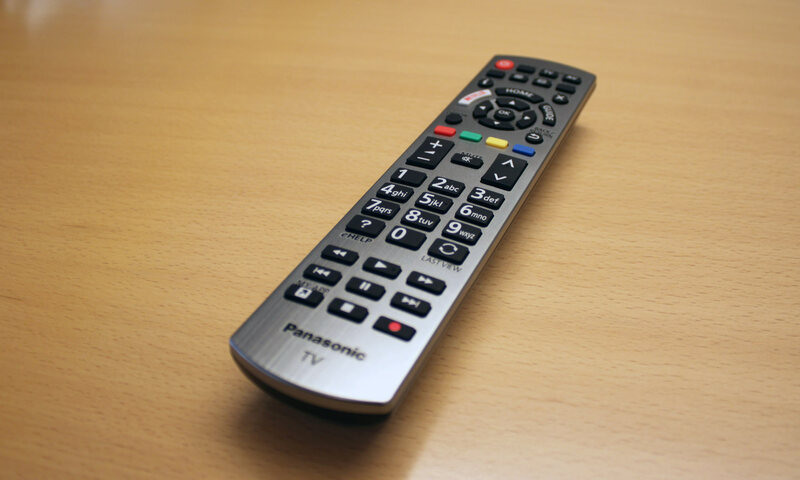 The remote control is the same classic Panasonic remote in silver-colored plastic with a myriad of buttons. It is a remote control designed for an analog age where using a TV involved watching mostly TV channels. 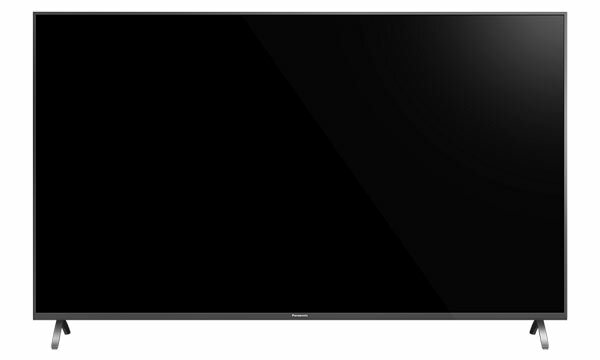 As TVs have gained addition features, Panasonic has followed the mantra of ”new feature, new button”. There is a dedicated button just to open the on-screen manual. The ”Input AV” button gives you access to select input sources but not all. You need to go to Home –> Devices to gain access to the same input sources + USB and more. While we fully acknowledge that the TV industry is in a major transition and that some buyers prefer the old ways, we find it hard to understand why many TV manufacturers continue to promote their sets as ”Smart TVs” but still design them around analog principles. To be fair, the remote control works just as well as it did five years ago – IR control is a well-proven concept for TV – but it just feels like many TV manufacturers are stuck in the past, leaving it up to Apple, Amazon, and Google to redesign the TV experience for this generation of consumers. Panasonic also has a remote app that will allow you to switch channel, open apps or change settings from your smartphone. It has worked in the past but this time it unfortunately crashed every time we tried to pair it with FX700. 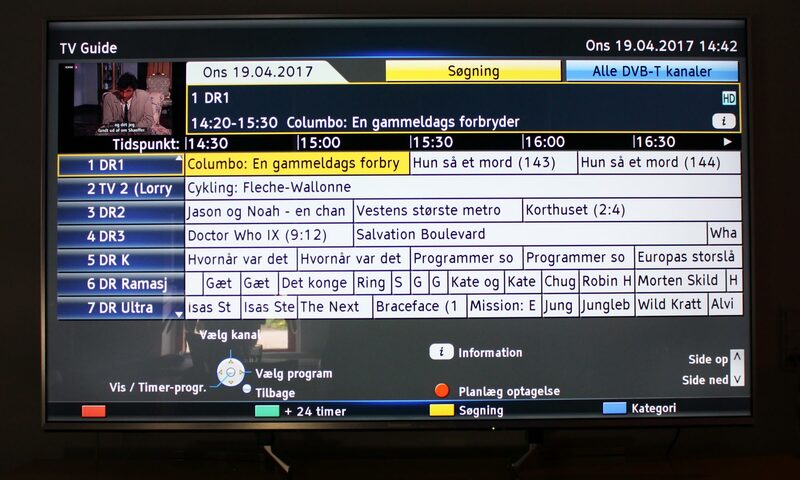 The TV channel section of the TV is unchanged. When Panasonic switched to Firefox OS - now My Home Screen 3.0 – three years ago, it chose not to refresh the user interface for TV channels. The year is 2018 and the TV guide looks like this (picture depicts last year’s EX700 but it is identical on FX700). Lastly, we wanted to comment on the built-in speakers that deliver 2x10 Watt output. That is not a lot and they are not very capable either. Like most other manufacturers, Panasonic tries to enhance human voices, which is often a wise choice when speakers are underpowered. Voices sound mostly clear and audible. However, bass is weak so for anything beyond casual TV watching, we recommend that you add more powerful speakers. The out-of-box picture settings are bad and many color tones appear visibly wrong to the naked eye as FX700 pulls out everything into the panel’s native color gamut rather than respect the Rec.709 color gamut. The ‘Normal’ mode is designed to sell TVs – not to respect the creator’s intent - so we quickly switched to one of the more accurate picture modes, namely ‘True Cinema’. In the table below, you can see our measurements before calibration in the ‘Normal’ mode. Unfortunately, ‘True Cinema’ is less accurate than on last year’s EX700 as Panasonic has seemingly tried to compensate for the IPS LCD panel’s shortcomings. We were able to improve color accuracy by tweaking the picture settings but it was impossible to reach a satisfying result without also tweaking the 10-step white balance settings. 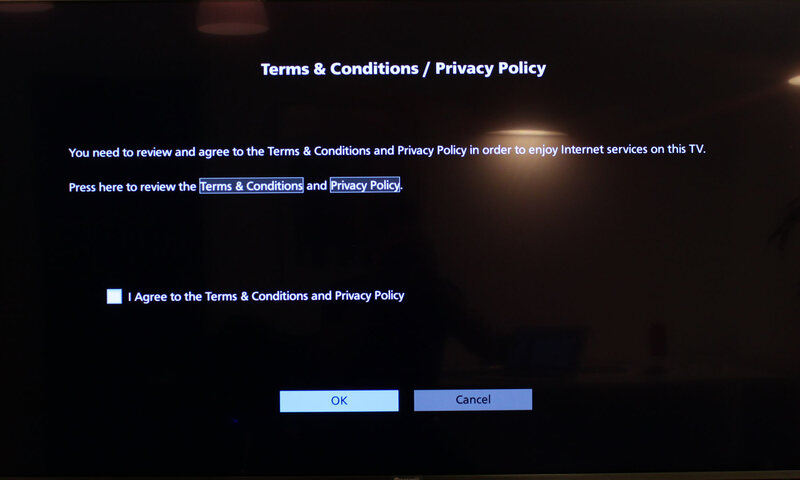 Those specific settings cannot be copied from one TV to another so we did not go through the full process. It is not unusual that TV manufacturers try to compensate for LCD panels’ shortcomings by altering the grey scale but it is unfortunate that not a single preloaded picture mode offers neutral picture quality – it effectively prevents the majority of buyers from getting accurate colors on their TV. Note: We only offer calibration settings for SDR, not yet HDR. For our calibration we have not used the ambient light sensor that automatically adjusts the backlight setting according to your environment. Use this if you use your TV during the day, too. We praised last year’s EX700 for its value-for-money picture quality – outside of HDR – so we had obviously hoped that FX700 would further improve on things. However, we quickly realized that Panasonic has made a quite drastic change. 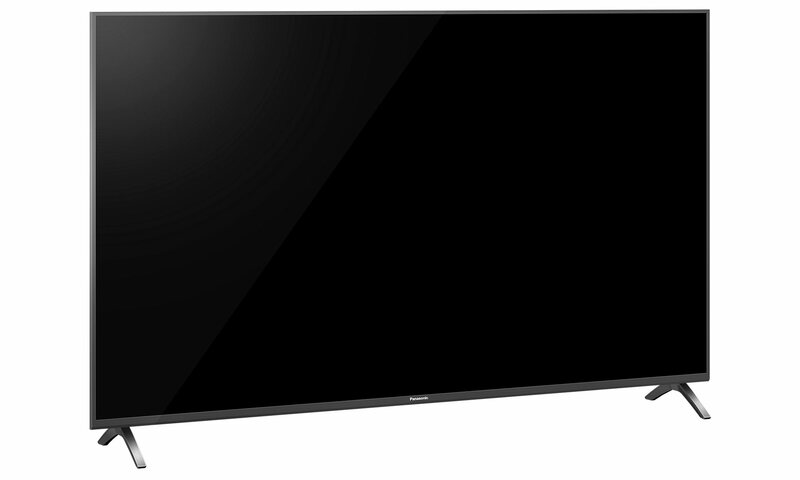 Whereas last year’s EX700 was based on a VA LCD panel, this year’s FX700 is based on an IPS LCD panel. Both are LCD panels but these two panel types have different picture characteristics in some areas. The most striking difference is that IPS panels have visibly lower contrast, mainly because blacks are not very deep. 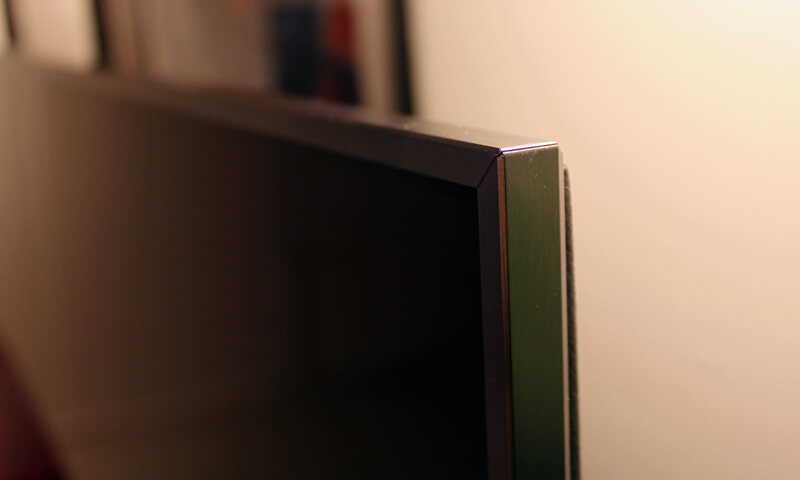 And since FX700 uses edge LED backlighting and therefore has no proper zone dimming (backlight is divided into just 2 overall segments) this change is instantly identifiable when you turn on the TV. We are honestly a little surprised that Panasonic is prepared to make such a drastic change. 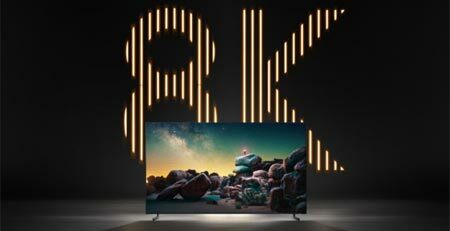 Sony did the same a couple of years ago with its 85 series – perhaps to try and upsell to the more expensive 9 series TVs. On the other hand IPS LCD panels have wider viewing angles – we will get back to that. Colors are not as accurate as we had hoped but the TV delivers acceptable picture quality in a brightly lit room as a bright environment helps mask the poor black levels. Our eyes simply adapt to the brighter environment. However, as soon as you start watching TV in a semi-dark environment the limitations of the panel become immediately apparent and the picture looks dull and contrast-poor. We measured black depth to 0.17 nits, which looks more like a dark tone of gray than black. There is an ‘Adaptive Backlight Control’ setting but unfortunately it does nothing to alleviate the limitations of the IPS panel. It gets worse if you try to feed the TV with HDR video that has emerged as the true next-generation of video over the last couple of years. 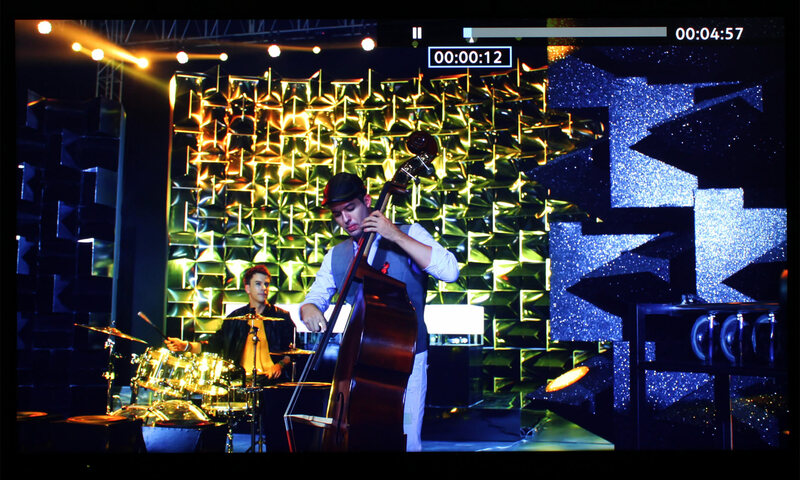 The challenge with HDR video is that it sets very high requirements for display hardware whereas it is relatively easy to support in software. 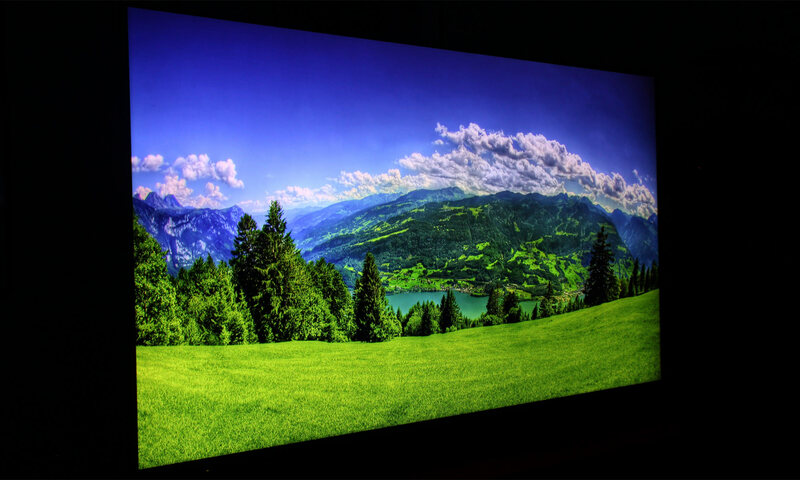 Most 2018 TVs, including FX700, claim support for various HDR formats but as we have said many times in the past, HDR is simply not possible with edge-lit LCD panels. FX700, of course, is no exception. The simple truth is that FX700 is no HDR TV. When fed with HDR video, it maxes out its backlight (and thus power consumption), which ruins the already very poor black levels (base black rises to 0.44 nits) and makes most scenes look very blown out. 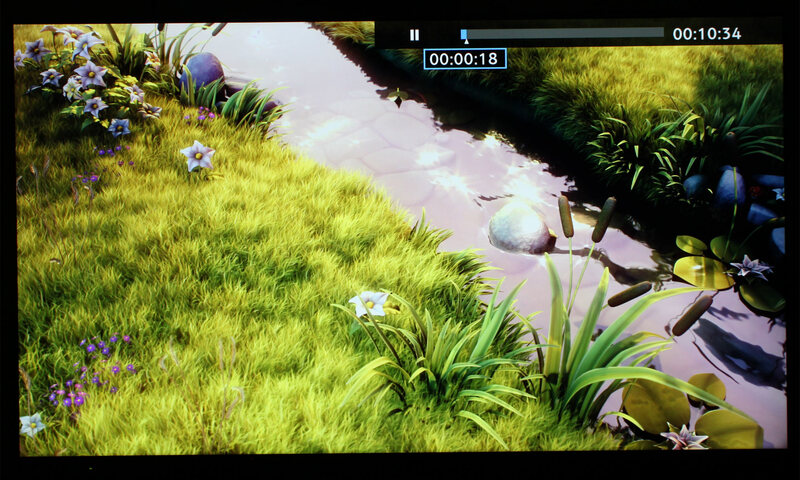 While some very bright scenes can get a slight boost, dark scenes and most scenes with mixed elements of color typically look worse in HDR than in SDR. Panasonic has made a number of HDR settings available in the menu but alas there is nothing that you can do to make HDR look even remotely good. It also supports HDR10+ but it is honestly pointless to start examining the advantages of the format here. 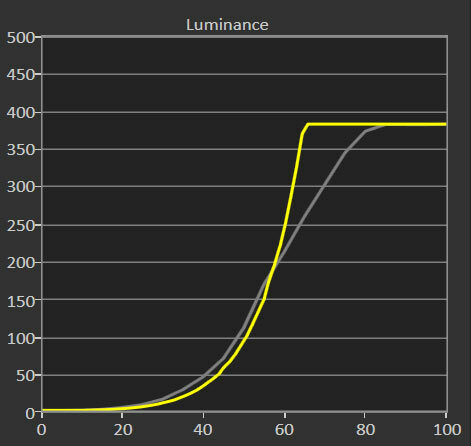 The graph to the right shows you how FX700 manages luminance in HDR mode. It peaks at a little less than 400 but also notice that lots of compromises were made, mainly due to the IPS panel’s limitations. We could point out a lot of things in this regard but should not dwell on it for too long as this is unfortunately some of the worst HDR we have seen on any TV to date. 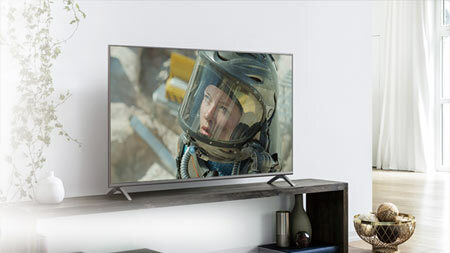 As HDR is building momentum across genres such as movies, TV shows, games, and even TV broadcasts, this should be a serious consideration if you are planning to use FX700 as your main TV for several years to come. Panasonic has with FX700 implemented its step-down video processor, which is a very decent processor that does a lot of things right. The company has also implemented ‘Clear Motion’, which improves motion clarity by using a simple form of backlight scanning. It is possible get decent motion performance with moderate tweaks but the TV still occasionally suffer from micro stutter - something that Panasonic has struggled with for years. 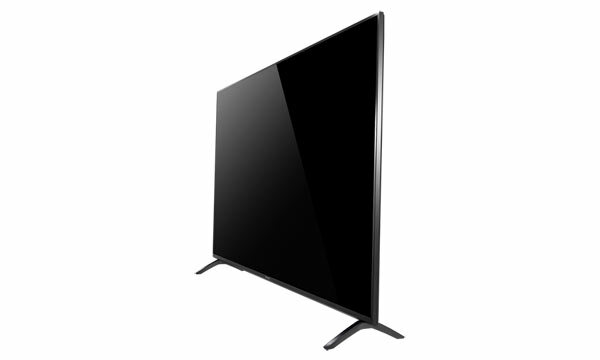 The video processor also handles SD upscaling, de-interlacing, and other tasks in convincing manner for a mid-range TV. All of this is important if you watch mainly SD, HD, and 4K video via broadcast or streaming. However, the poor contrast and blacks are hard to ignore even here. One area where FX700 surprised us was input lag. It reached an all-time low of 13.9 ms in ‘Game’ mode (1080p). That is the lowest lag we have seen to date and because of that we took several measurements to make sure that our equipment was not playing a trick on us. 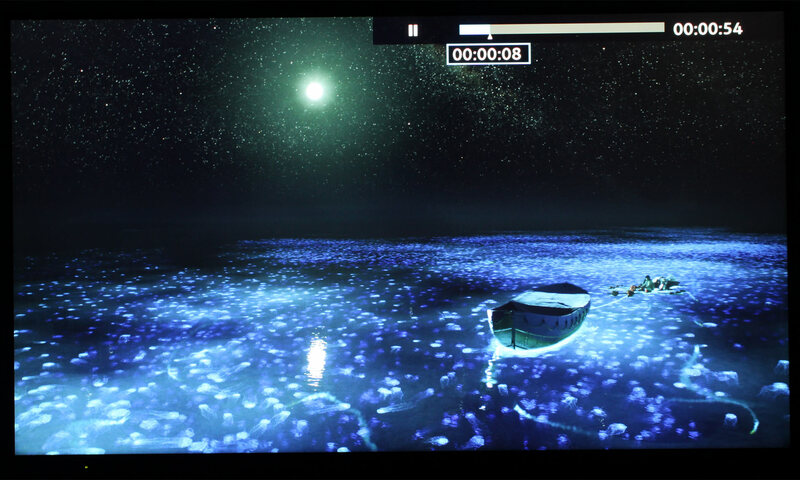 We are very eager to find out if Panasonic’s new OLED TVs offer the same low input lag. Unfortunately, input lag is just one aspect and a fairly irrelevant metric when seen out of context. You will have no issues with delay when gaming on FX700 but picture quality in general suffers from the IPS panel’s shortcomings. FX700 uses PWM (Pulse Width Modulation) to control LED backlight intensity. Some people perceive this as flicker and it is in general not a good approach to controlling light intensity in LEDs. 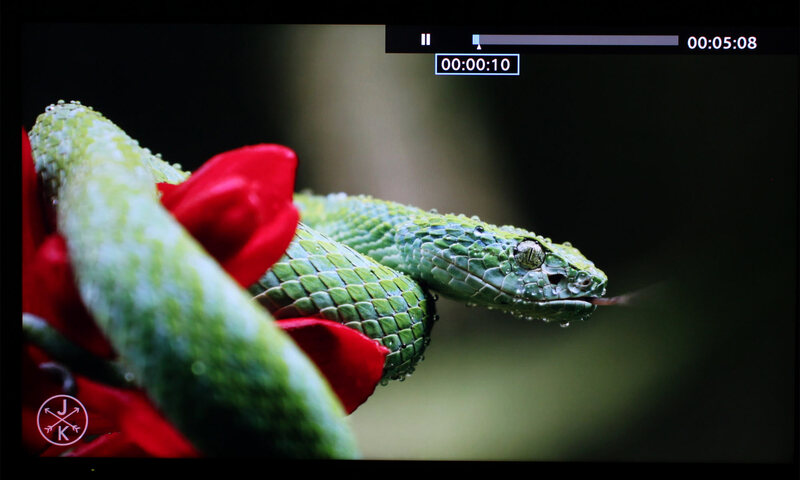 Panasonic FX700 has no major issues with clouding or bleeding. The LED backlight is not completely uniform but since the black level is so poor, the very modest level of clouding is hard to spot. 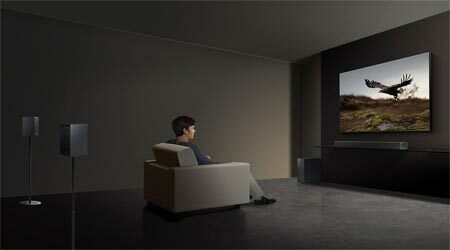 Panasonic has completely phased out 3D and none of the 2018 TVs support the format. One major advantage of IPS LCD over VA LCD is that the viewing angles are far wider. 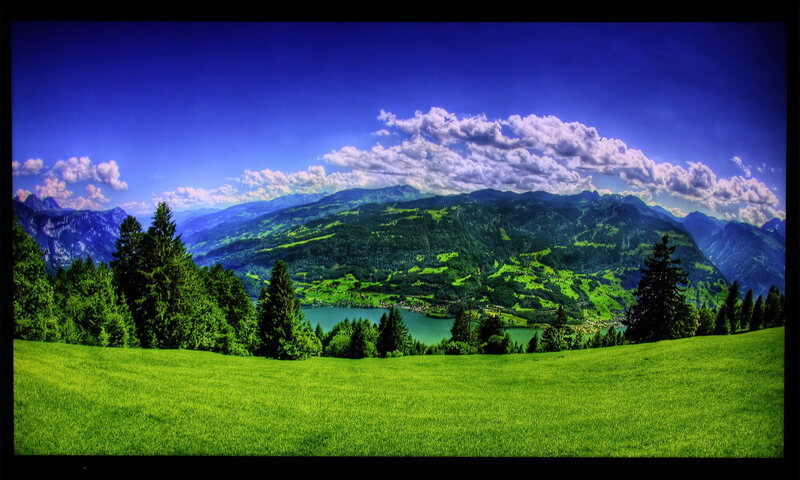 Colors mostly retain saturation and tone off-axis, even from quite extreme angles. 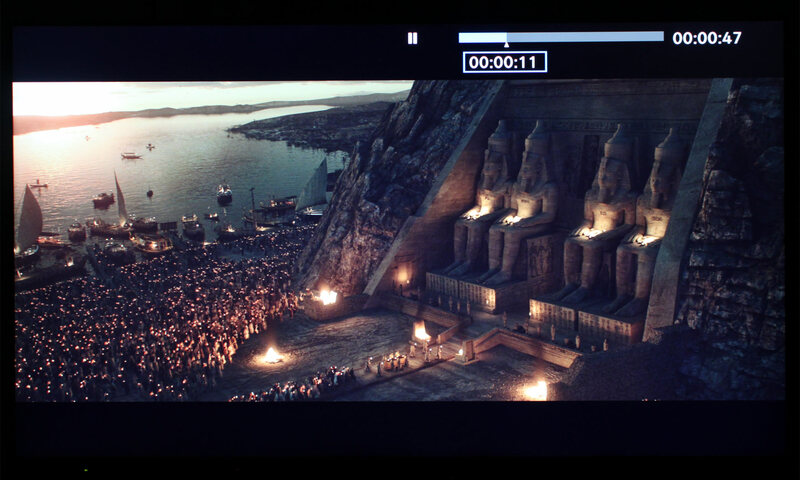 However, contrast still drops visibly as can be seen in the fourth photo below. 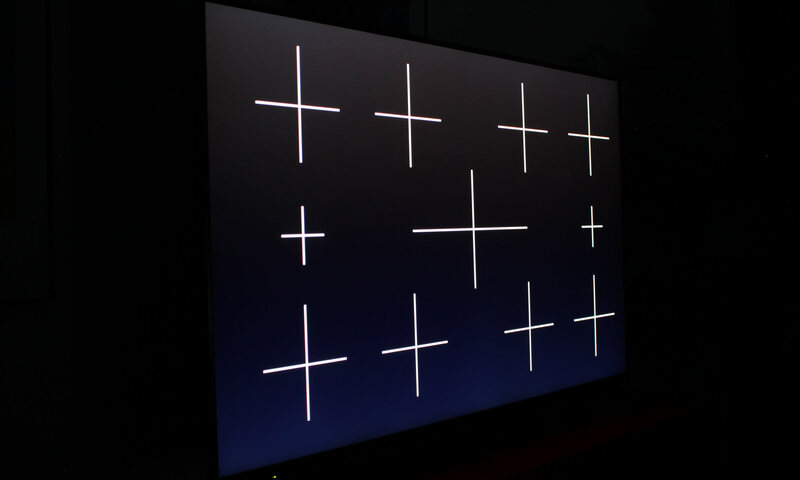 If your living room does not allow everybody to sit mostly in front of the TV, IPS LCD may be a better choice than VA LCD, if you can accept the weaker contrast / black. 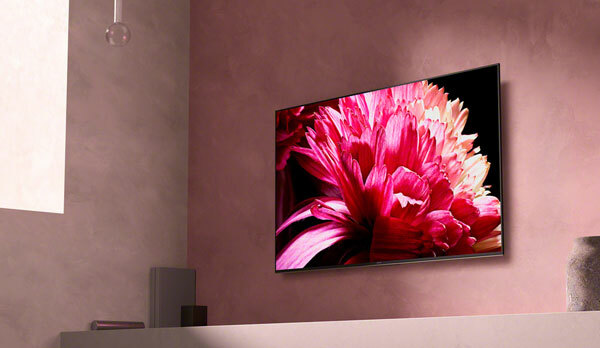 If you want the best of both worlds you should consider raising your budget and buying an OLED TV. 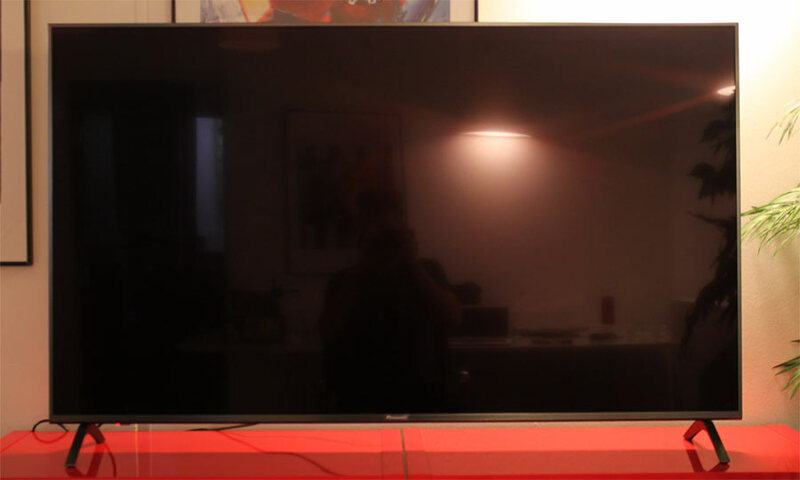 For a few years now, we have often preferred Panasonic’s mid-range TVs over competing models from LG, Sony and Samsung due to their value for money picture quality. Unfortunately, Panasonic has changed the formula this year, switching from a VA LCD to an IPS LCD panel, which means that contrast and black levels suffer greatly. We asked Panasonic about why it had decided to make the switch but the company did not want to go into details. FX700 delivers very poor HDR performance but the problem with the IPS panel is that its limitations also spill into SDR (SD, HD & 4K video) performance. The picture is acceptable in very bright environments but it often looks contrast-poor and weak in darker viewing environments. Panasonic’s video processor does a good job but it is ultimately held back by the panel, which is a shame. On the other hand the IPS panel delivers far wider viewing angles than all VA LCD panels do and this allows you to enjoy the picture from almost any angle. As for functionality Panasonic has introduced very modest changes with version 3.0 of My Home Screen. 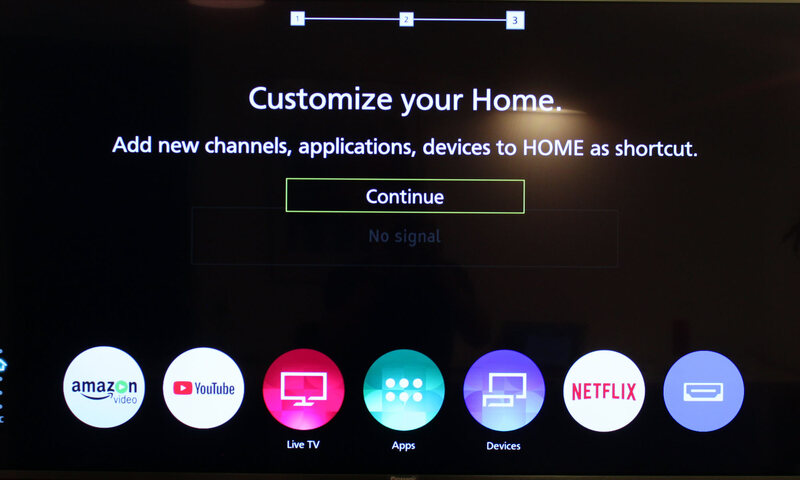 If you are into streaming, or TV apps in any way, it honestly feels like a crime not connecting a box like Apple TV, Roku or FireTV to Panasonic’s TVs. The built-in My Home Screen platform was not up to par in 2015 when it was named Firefox OS, and is outdated today. It is a simple web overlay that receives no updates and has a very limited app selection. It is in no way comparable to a full-fledged operating system like Apple’s tvOS. All in all, FX700 seems like a sizeable downgrade from last year’s EX700 in the area that matters most; picture quality. Change in test parameters: Starting this year we will make a change to a test parameter that relates to the features score, following years of poor practice in the TV industry. Unless a manufacturer of a given “Smart TV” can provide FlatpanelsHD with assurance that the TV platform will be updated to the next major version, the feature score will be lowered by 10 points. We hope that our initiative can help highlight the problem, start a discussion, and change the practice. Panasonic has not been able to give us such a guarantee for My Home Screen.